Hey there, guys!! You all have been bombarding our Facebook inbox with tons of requests for another free ticket giveaway, so we simply must oblige! 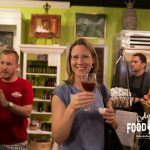 That’s right, we put together another amazing giveaway contest just for our favorite foodies – Two FREE tickets to our Winter Park Food Tours. Here’s all you have to do to qualify to enter the contest: 1.) Like this blog post on our Facebook page. 2.) Share this blog post (via our FB page) on your Facebook wall. 3.) Tell us (via this post’s comments section on our Facebook page) WHO deserves to be spoiled with one of our Winter Park Tours. 4.) Tell us WHY. (definitely can’t forget the why!) This person can be anyone – your mom, dad, grandparent, son, daughter, sibling, boyfriend, teacher, dentist, etc. You name it, and they can be it! Once you pick your person, we want to know why they deserve to be taken on an afternoon food-filled adventure down Park Avenue. Do you have the best garbage man in Orlando and want to treat him and his wife to a nice afternoon out? Are your parents celebrating a monumental anniversary and you want to send them on an unforgettable anniversary treat? Do you owe your girlfriend a “please don’t break up with me” date because you forgot Valentine’s Day was this week? Ut oh… Whatever and whomever, we want to know! That’s it! 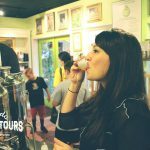 – follow these four simple steps and you’ll be entered into our giveaway contest to win two FREE tour tickets to our Winter Park tours! The Deadline to enter (by following the four easy steps above) is Thursday February 22nd! One lucky winner will be announced on our Facebook next Friday, February 23rd! Now, head on over to our Facebook page and let’s get this party started!